Indian Cricket team captain, M S Dhoni is regarded to be the most successful captain of the state. Kapil Dev was successful to win Prudential cup for India. Sourav Ganguly took the team to the final of the world cup in the year 2003 but failed to show the final smile. M S Dhoni has smiled for two times, once in 2007 with the T20 world cup and again in 2011, with the world cup. As a cricketer and wicketkeeper and as a team leader too, Mr. Dhoni has been one of the best personality in India, but his personal life is totally unknown. According to him, he was a goalkeeper and was a ticket collector for Indian Railways. Now, what has happened in his life that changed him to a successful cricketer is unknown to all. The Movie on his personal life is all set to be release at the end of this week on 30th September. The movie is already at the top of the list of fans, and almost 2 crore fans have tried to see the promo of the movie on YouTube. The movie has been directed by the famous Bollywood director Neeraj Pandey and in the role of M S Dhoni, actor Sushant Singh Rajput is making the play. The movie is also having stars like Anupam Kher, Bhumika Chawla and many more. M S Dhoni has always proved him to be the key to success. Now the movie is going to show how much that is true. Herry Tangri is playing the role of Yuvraj Singh as M.S. Dhoni friend in the film. Kiara Advani is playing the role of Sakshi who is his wife in real life. Disha Patani is playing the role of Priyanka Jha who is his Ex- Girl friend. Anupam Kher is playing the role of M.S. Dhoni’s father in the movie. Bhumika Chawla is playing as Jayanti Gupta as the Dhoni’s sister. 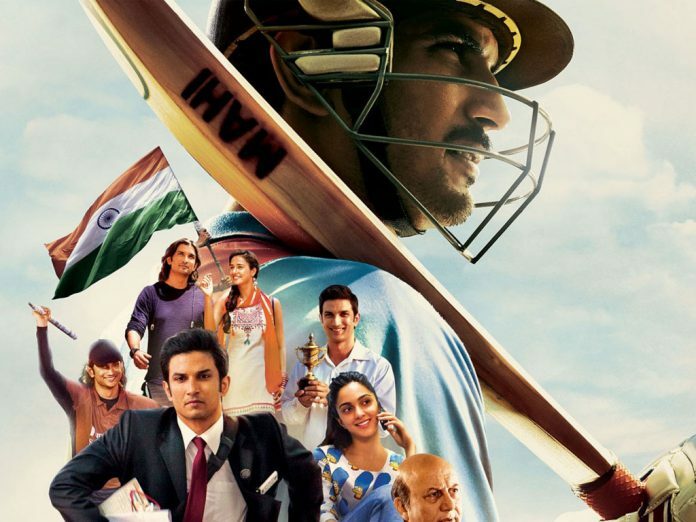 Rajesh Sharma is playing the role of Dhoni’s Cricket coach in the movie. For more Just Take a Bet Discount Movie Ticket on Paytm and Watch There. Previous articleLove Marriage Vs. Arrange Marriage – Which One Is Better?